In May 2005, the Government Accountability Office (GAO) released classified and unclassified versions of an assessment of the performance of airport passenger screeners. Although no numbers were included in the unclassified version, the overall conclusion was that screening performance today, after several years of operation by federal Transportation Security Administration screeners, was little or no better than the performance of minimum-wage private-contract screeners in place at the time of the 9/11 attacks. Moreover, the performance of the new private screeners at the five pilot-program airports called for by Congress (San Francisco, Kansas City, Rochester, Tupelo, and Jackson Hole) was better than that of TSA screeners. These results raised concerns in Congress and the news media over the value gained by tripling the cost of airport screening by “federalizing” it. 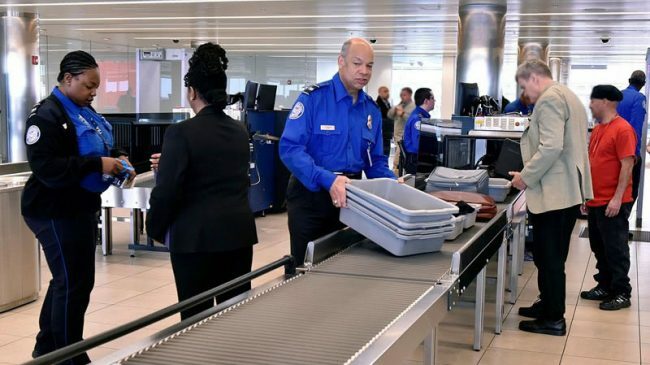 And they also suggested that, to the extent that the new federal mandates remain in place, it might be more cost-effective to phase out TSA as the operator of screening in favor of a performance-contracting approach. Just such a change has been advocated by Rep. John Mica (R, FL), chairman of the House Aviation Subcommittee. Under current law, all airports have been permitted, since November 2004, to opt out of TSA-provided screening, making use of a TSA-certified contractor instead. As of May 2005, however, only two small airports had applied to do so. This is in part because of continued airport concerns over liability if TSA is not the provider. But it also reflects on the centralized nature of the TSA’s opt-out program. If an airport decides to opt out, it is not allowed to seek bids from a set of TSA-certified contractors, hire the most responsive one, and then integrate its operations into the overall airport security program. Instead, it must apply to TSA, and TSA assigns it a contractor, hired by and supervised by TSA. Thus, most airport directors see little value in such a minor change. During 2004, the TSA began a five-airport pilot test of a Registered Traveler program, under which frequent flyers can volunteer to become pre-cleared and receive a biometrically encoded ID card. When they arrive at the passenger checkpoint, the idea is that they will proceed through a special lane, for expedited processing, after verifying their identity by showing that their physical feature (fingerprint, iris scan) matches that encoded on the card. By year-end, about 10,000 people were taking part in the program at the five airports. And it appears that instead of expanding the program itself, TSA is willing to accept proposals from private firms, working with airports and airlines, to offer such programs as a feature for frequent flyers. 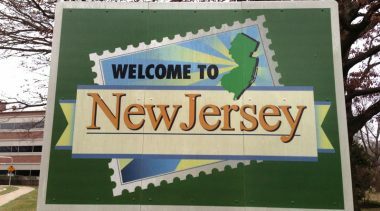 A New York-based company, Verified Identity Pass, Inc., is developing such a service, to be launched at Orlando International Airport in the first half of 2005. In early 2005 the Federal Aviation Administration announced the winner in the largest non-military outsourcing competition to date. It involves 58 Automated Flight Service Stations (AFSS) around the country, which provide flight-plan and weather-briefing services to private pilots. This technology used at these facilities is obsolete, they are very labor-intensive (most such services can easily be provided on-line, rather than by voice over the phone), and there is no particular reason why there are 58 such stations scattered about the country. Moreover, the cost of the program was in excess of $500 million per year. And since the fuel tax revenue from private pilots amounts to a small fraction of that sum, the credibility of the idea that private planes were “paying their way” was increasingly at risk. There was a lively competition for the contract to take over, modernize, and operate the AFSS program, held under the standard federal A-76 outsourcing rules. One team consisted of the current employees and Harris Corporation-the so-called “Most Efficient Organization” approach (internal restructuring in the face of real competition). The others were all aerospace contractors. The winning bid, announced by the FAA in January 2005, came from Lockheed Martin. By consolidating the program into 20 facilities instead of 58 and equipping them with state-of-the-art equipment to maximize on-line services, Lockheed Martin was able to bid $1.9 billion over 10 years (an average of $190 million per year, versus more than $500 million today). There will be no more “walk-in” briefings for pilots, but only 2 percent of pilots got their briefings that way in any case. The principal private pilot group, Aircraft Owners & Pilots Association, supported the competition from day one, and cheered the results in its publications and on its Web site. As for the 2,500 existing staff, Lockheed Martin expects to downsize with minimal layoffs. First, it will offer all the positions in the consolidated facilities to current employees. Second, it will take advantage of the fact that about half the staff will become eligible to retire over the next several years, as the consolidation takes place (by March 2007). Third, the FAA is encouraging those who are qualified to apply to become air traffic controllers (where thousands need to be hired over the next decade to replace upcoming retirees). And the FAA is also encouraging transfers to other vacancies within its Air Traffic Organization. In March the MEO team filed a protest of the award, claiming that it should have been judged the winner of the competition. At press time, that issue had not yet been resolved. Early in 2005, FAA leaders began giving briefings on the emerging funding crisis facing the agency, two-thirds of whose budget and staff is devoted to operating the nation’s air traffic control (ATC) system. The largest FAA funding source is the 7.5 percent tax on the value of airline tickets. Over the past five years, increased competition from low-cost carriers (LCCs) has pushed air fares downwards, such that the ticket tax is producing far less revenue than had been projected by the FAA in each of the previous five years. But at the same time, the agency’s budget has increased from $9.8 billion in FY1999 to $13.9 billion in FY2004. Both Transportation Secretary Norm Mineta and FAA Administrator Marion Blakey have begun calling for a new FAA funding system, one more directly related to the cost of providing ATC services. Reason Foundation released a report in May 2005 calling for a replacement of the current user-tax regime with a system of direct payments by ATC customers to the ATC provider, “Resolving the Crisis in Air Traffic Control Funding.” It pointed out that the United States is the last developed country in the world that funds ATC via taxes rather than direct user fees. And it summarized a whole set of advantages of creating a customer-provider relationship between the Air Traffic Organization and its aviation customers-in contrast to the status quo, in which the ATO must satisfy Congress, from which its money comes. Part of the proposal is a new governance mechanism, consisting of a board of directors with the power to hire and fire ATO management, set the operating budget, and determine the capital budget. This board would directly represent key aviation groups. 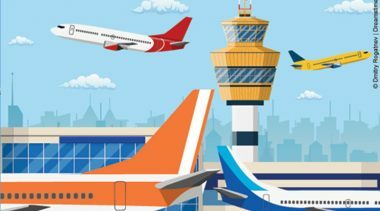 Many of the concerns about the ATC budgetary problems were echoed a week later in a report from the FAA’s Management Advisory Council. It decried the recent cutbacks in capital investment (modernization), just when flight activity is reaching new highs that suggest a return to serious congestion and delays. 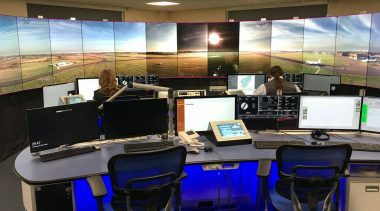 It called for serious consolidation of ATC facilities, taking advantage of modern telecommunications technology to provide the same service at less cost. It called for outsourcing the remaining 71 non-radar towers, based on the track record of 226 that are operated by contractors at less than half the cost of equivalent FAA-run towers. And it called for the FAA to regain control of its workforce, via negotiating a much more productivity-oriented contract with the controllers union in 2005. The current aviation taxes expire in FY2007, so Congress has about 18 months to consider alternatives. 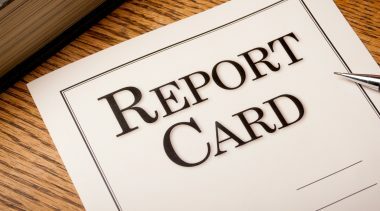 The GAO produced an interim report on the performance of some of the larger ANSPs, at the request of members of Congress. It’s called “Air Traffic Control: Preliminary Observations on Commercialized Air Navigation Services Providers.” As part of an ongoing project on the subject, a GAO team visited and obtained data on the ANSPs of Australia, Canada, Germany, New Zealand, and the United Kingdom. As they reported to the House Aviation Subcommittee in April 2005, all five have maintained safety, controlled costs, and improved efficiency. All five have invested in new technologies that reduced costs by increasing the productivity of controllers and reducing delays, which generally resulted in lower fees for major airlines. There is no current support for privatizing the U.S. ANSP (the Air Traffic Organization). 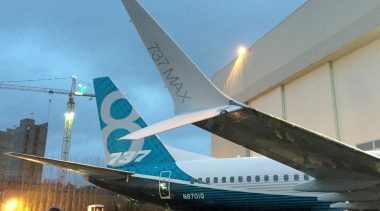 But making it operate more commercially-by giving it a governing board of directors representing its customers, making it self-supporting from fees paid by its customers (thereby getting it out of the federal budget process), and increasing its arms-length separation from FAA’s regulatory branch-could go a long way toward producing the kind of improved performance we’re seeing overseas. The first (and thus far still the only) airport privatized under a 1996 law authorizing a five-airport pilot test of airport privatization is Stewart Airport in Newburgh, New York. That airport received FAA approval in April 2000 of its 99-year lease to a British company, National Express. Hence, April 2005 was the fifth anniversary of its operation in private hands. The airport has managed to attract several new tenants providing aviation services. And its passenger count increased by 33 percent in 2004, topping the growth rate of all other U.S. airports. Still, at 526,745, that number was far below the airport’s 1996 peak of 800,000. National Express has also helped to pay for a new access road to I-84, though construction has been held up by environmental litigation. At one point, applications had been submitted to the FAA for the other four “slots” in the pilot program, but three were subsequently withdrawn for various reasons. The only one that remains in play is for the New Orleans Lakefront Airport, a large general aviation field. The district that owns it held a competition and selected American Airports Corp. for a long-term lease back in 2002. But the application is still pending at the FAA, awaiting resolution of an issue dealing with federal grants to the airport. The real action in U.S. airport privatization is in Illinois, where proponents of private development of the long-discussed third Chicago airport continue to make headway. In 2004, the South Suburban Airport Commission held a competition and selected a team led by LCOR and SNC-Lavalin to finance, design, build, and operate what is now called Abraham Lincoln National Airport. The Illinois DOT is buying land at the preferred site in Peotone, 40 miles south of downtown Chicago. The basic model is a public-private partnership, with government owning the land and the private entity owning and operating the facilities. The $200 million phase 1 project involves a single runway and a five-gate terminal building that will be readily expandable to 12 gates as traffic develops. In April 2005 the state submitted its plan to the FAA, which by law must do a detailed review, expected to take about 18 months. 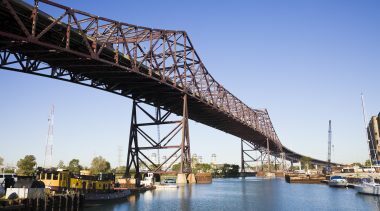 The project has the support of a coalition of suburban officials and is being championed in Congress by Rep. Jesse Jackson, Jr. (D, IL). By contrast with the minimal U.S. privatization activity, airport privatization continues to be the predominant trend worldwide. More than 100 large and medium-size airports are either owned outright by investors or are being managed under long-term lease or franchise agreements in countries such as Great Britain, Germany, Italy, South Africa, Argentina, Chile, Colombia, Mexico, Australia, and New Zealand. More privatization decisions were made in 2004 and early 2005, and a number of transactions were completed. The prevailing model for airport privatization in Europe is outright sale, as pioneered by the Thatcher government in the United Kingdom with its historic initial public offering of 100 percent of the shares in the former British Airports Authority in 1987. BAA, plc has become one of the large global players in the airport business. The largest recent sale was of a 70 percent stake in the Brussels International Airport, in late 2004. The winning bidder was Macquarie, already the world’s second-biggest airport owner (with stakes in the airports of Birmingham and Bristol in England and Rome’s main airport, in addition to airports in Australia). Macquarie’s winning bid was $950 million. The Belgian government, which retains 30 percent ownership, will use the proceeds to pay down debt. Nearby, one of the next to be privatized will likely be Amsterdam’s Schiphol International, though in this case the government may keep a majority stake. It currently owns 75.8 percent, and announced in July 2004 that it would sell a minority stake to investors at a “financially opportune time.” Schiphol Group is already corporatized, and owns a portion of Australia’s Brisbane airport and Terminal 4 at JFK International in New York. Two other major airport corporations are to be privatized within the next year. The first is is Aeroports de Paris, which owns the two major Paris airports and a number of smaller airfields. ADP has recently been transformed into a public limited company, and a minority stake may be sold before the end of 2005. Greece has also decided to sell the 55 percent of Athens International Airport it owns, via a public share offering in 2005. The developer/operator of the new airport, Germany’s Hochtief group, owns 39.8 percent, with the balance owned by two other companies. Greece expects proceeds of about $2 billion from the share offering. In Germany, Frankfurt and several airports have been investor-owned for several years, but the second-largest airport, Munich, has remained in government hands. But that appears to be changing, as the German government and the city government (which together own 49 percent) have expressed interest in selling. But thus far the state government of Bavaria, with 51 percent, has been cool to the idea. Dow Jones Newspapers reported in March 2005 that Munich officials plan to raise the issue with the state government in 2006. On a much smaller scale, New Zealand utility corporation Infratil has announced a deal to buy 90 percent of Lubeck Airport, near Hamburg. Infratil owns Glasgow Prestwick Airport in Scotland and two-thirds of the Wellington, NZ airport. Infratil has agreed to a deal with leading European low-fare airline, Ryanair, to bring major new service to the airport. Also on Europe’s airport privatization agenda for 2005 is the Budapest Airport in Hungary. The government plans to sell 75 percent of the airport to a strategic investor who would develop it into a regional hub. Both BAA and the privatized Copenhagen airport have announced plans to bid. The Copenhagen airport in April 2005 was selected to modernize and operate Bulgaria’s two Black Sea airports, via a 35-year concession agreement. Airport privatization is even an issue in Moscow. In 1998 the city’s second airport, Domodedovo, was leased for 75 years to East Line Group. Thanks to greatly improved facilities, it has grown rapidly and has become the airport of choice for many international carriers, even though Sheremetyevo Airport is considered the main international airport. The contrast has led to high-level calls to privatize the latter, or at least to outsource its management. But those plans were put on hold in February 2005 when a court ruled the lease of Domodedovo illegal. East Line continues to operate that airport while the decision is on appeal. Announcements were made in 2004 that major airport privatizations would be taking place in Hong Kong, Tokyo, and India within the next year or two. As of spring 2005, however, none of those has yet taken place. Tokyo’s Narita International Airport was corporatized on schedule, in 2003. But under the government’s plan, it will not issue shares to the public until 2007. Hong Kong’s Airport Authority will issue shares in either 2005 or 2006. But it is already acting more like a commercial company. In April 2005 it purchased 30 percent of China’s 10th-largest airport, Hangzhou, for $120 million. In India, the privatization law passed in 2003 called for the sale of Mumbai (Bombay) and New Delhi Airports, and the new congress government elected in 2004 reaffirmed those plans. It accepted preliminary proposals in July 2004, promising to define a short-list by the following February. It failed to meet that deadline, but on March 31, 2005 announced that nine of the 10 bidders had made the “short” list and would have 12 weeks to submit technical and financial bids. The government will sell 49 percent of each airport to a global company, and 25 percent to a domestic financial partner, with the Airports Authority of India retaining the balance. Bidders include Germany’s Fraport and Singapore’s Changi Airport. The final stages of a privatization gone awry are being played out in the Philippines. The government some years ago entered into a long-term build-operate-transfer concession with Fraport and local partners to finance, build, and operate a new Terminal 3 at the international airport in Manila. The terminal was completed in October 2002 but has stood empty since then due to a bitter contractual dispute between the government and the private team. Although the dispute is in arbitration with the World Bank and on appeal to the International Commercial Court in Singapore, the government expropriated the terminal in December 2004, and in March 2005 announced that it was up for sale. It says it will use the proceeds to compensate the private contractors. Mexico is in the process of completing its privatization of its major airports. The first step, in the late 1990s, was to sell 15 percent stakes in three regional groups of airports to experienced global operators. The second step was to sell the balance via public share offerings. One such sale took place in 2000 for ASUR, the southern group that includes Cancun. But the government retained 11 percent of ASUR until early 2005, when that final stake was sold for $100 million. Public offerings for the other two groups were delayed by the airline recession following 9/11. But they are resuming this year. The remaining 85 percent of GAP (which operates Pacific airports including Guadalajara) will be sold in summer 2005; it’s expected to bring in $800 million. Thereafter, the remaining 85 percent of Centro Norte (which includes Monterey) will be sold around the end of 2005. Peru is using the long-term concession approach for a major modernization of Jorge Chavez International Airport serving Lima. The 30-year concession, held by Bechtel, Changi Airport, and Fraport, will invest $1.2 billion in runways, terminals, and security over the life of the agreement. A new $148 million terminal was opened in January 2005, three months ahead of schedule. However, the association of international airlines serving Lima has demanded that the government review the airport’s charges, which they say are much higher than at comparable airports like Buenos Aires or Miami. Ecuador is also using the concession model, in this case to develop a completely new international airport for Quito. The Quiport consortium includes a large Brazilian contractor, Toronto-based Aecon Group and Airport Development Corp., and Houston Airport System Development Corp. They are developing the $535 million airport under a 35-year concession. Separately, the government is seeking bids for a concession to build a 24 km. toll road linking the new airport to downtown Quito. Argentina was the first South American country to privatize its airports, awarding a long-term concession in 2000 to Aeropuertos Argentina 2000, an international consortium. AA2000 took over the operation of 33 airports, including the two in Buenos Aires. There have been ups and downs in the subsequent four years, and most recently the government has called for changing the ownership structure of the concession. Under its proposal, AA2000 would retain 51 percent, with 29 percent offered via the stock market and the government acquiring 20 percent.